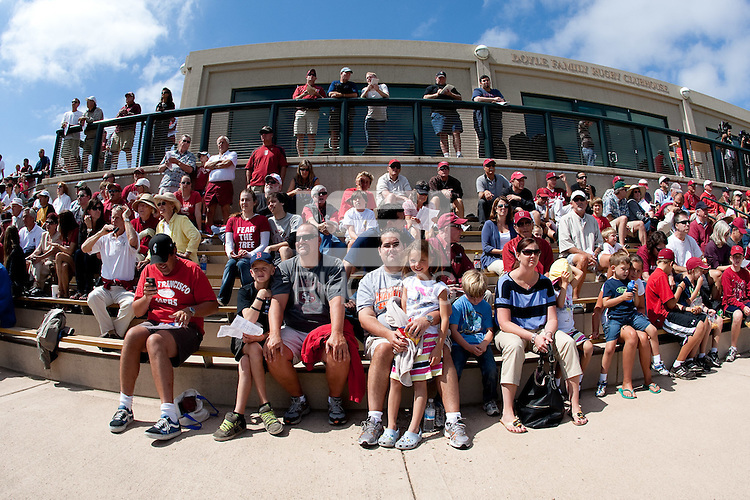 STANFORD CA - August 21, 2011: Fans watch The Stanford Cardinal Football Open Practice on Sunday, August 21, 2011 at Steuber Rugby Stadium. After the practice at the Stanford Football Open house in Stanford Stadium youngsters got to practice at skills stations run by Stanford Football coaches. Fans of all ages were able to watch the 2011 squad practice, get autographs from their favorite players, and have their pictures taken with the 2011 Orange Bowl Trophy.